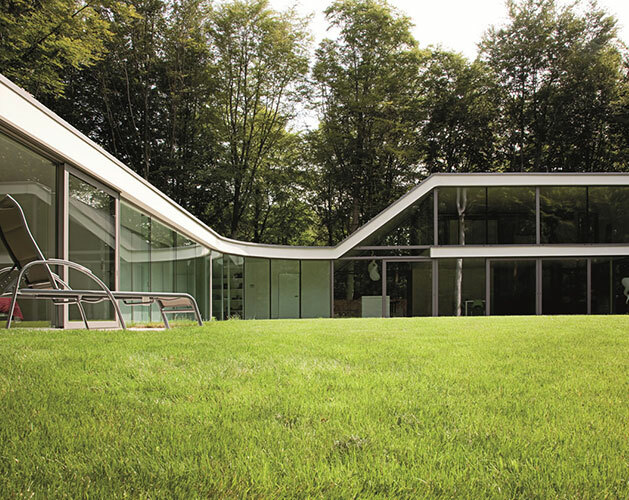 Although the focus of bmg since our inception has historically been the commercial and institutional marketplace, we have also completed a large number of residential projects and it continues to be an expanding area of service for us, as consumers and designers realize the elegant solutions aluminum provides for homes and cottages. 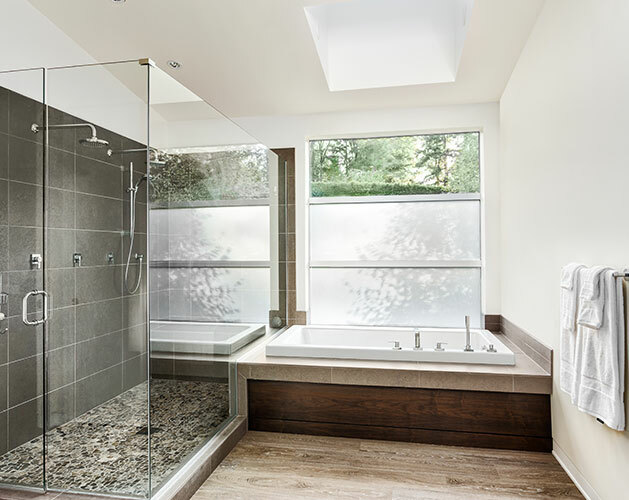 Custom glass showers has always been a part of the bmg line of offerings but it has expanded to include a full range of windows, doors, curtain wall and railing systems, in addition to the showers. 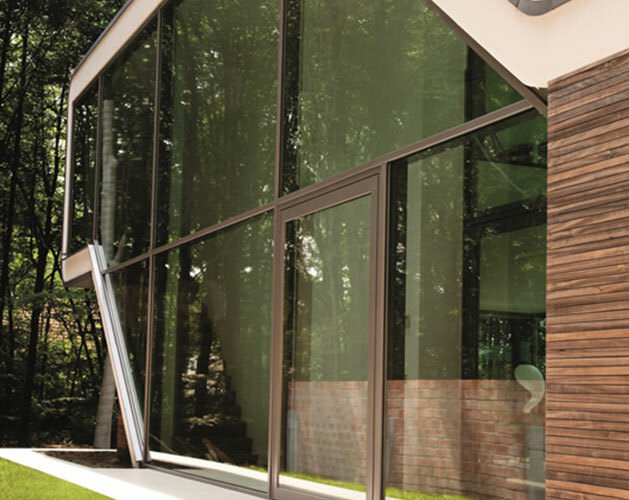 We now focus on completing the full glazing package for the customer’s entire home. Our residential line is all aluminum as we bring the durability and performance of the commercial market into the residential experience. Aluminum systems are more thermally robust than ever before and fit well from an aesthetic perspective with the current design trends. 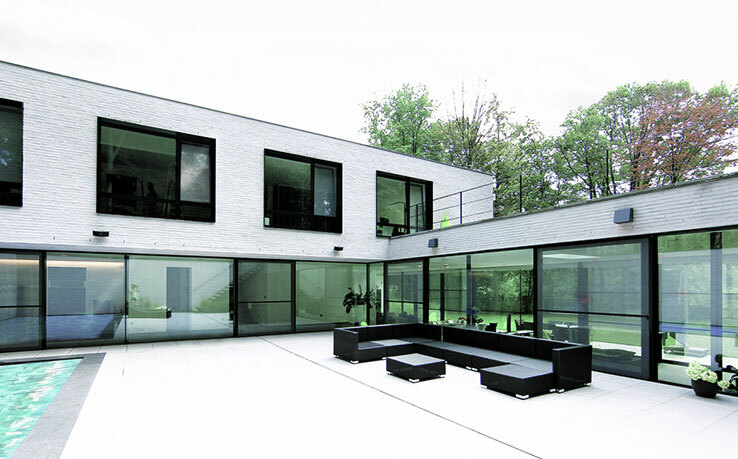 Bmg is also now a certified Installer of the Big Glass Openings line of high-end residential window and door systems. Please see links on this site to their full website. 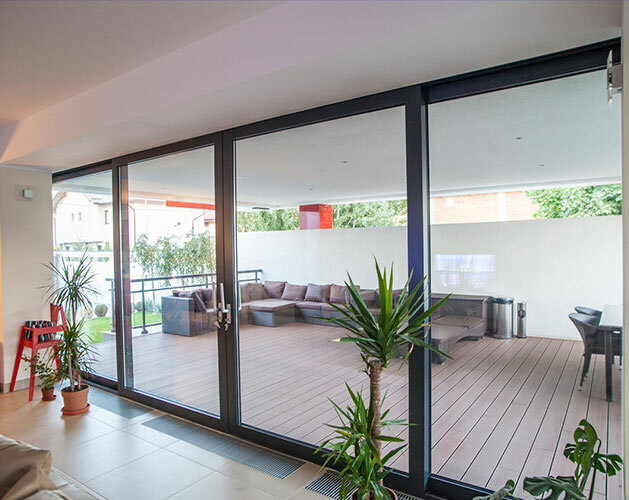 We provide a range of window and door options to suit the various applications- swing doors, bifold doors, casement awning and tilt/turn windows, fixed windows, garden style doors, sliding doors etc. Every product is custom built to suit the particular project. There are a few different price points available to suit various project budgets and all products are available in a range of custom paint or anodized colours. Bmg has completed thousands of custom glass shower enclosures since its inception. We have a separate division dedicated solely to showers and railings and provide a professional service including accurate site measuring, meticulous installations as well as design assist during the estimating stage of the project. A curtain wall is defined as a thin, usually aluminum-framed wall, containing in-fills of glass or decorative panels. The framing is attached to the building structure and does not carry the floor or roof loads of the building. The wind and gravity loads of the curtain wall are transferred to the building structure, typically at the floor line. There are a number of varieties of high performance Curtain Wall systems available to enhance thermal performance using extruded aluminum members. Curtain Walls allow an abundance of natural light to penetrate deeper within the building as well as provide ‘walls of glass’ for great rooms and other areas of the home. 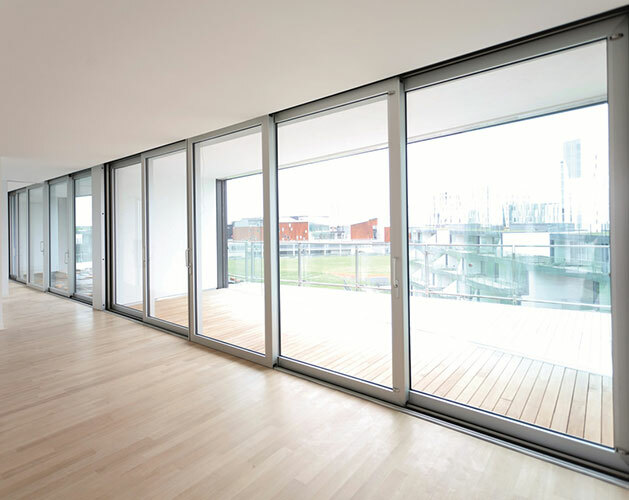 Although traditionally common for commercial applications, we are seeing a trend towards significant portions of residential homes incorporating curtain wall into their fenestration design. 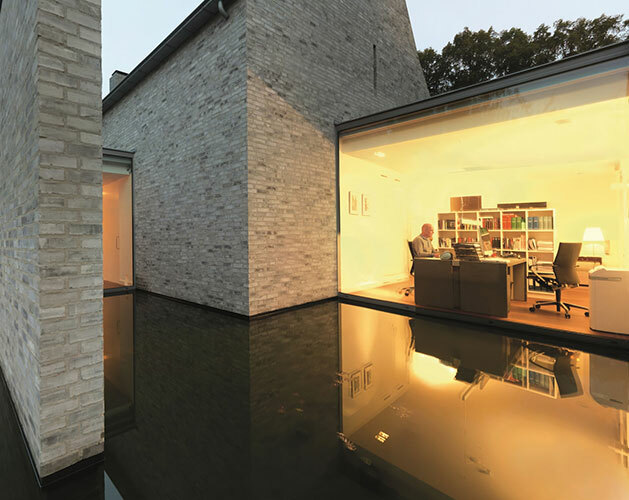 Whether it’s a backyard facing façade opening onto a lake, pool, deck or patio; or a studio space nestled into the surrounding green space, curtain walls offer the expanse of glass people after for these critical spaces of their dwelling. Bmg isn’t just about Residential installations. We offer a complete line of products to suit your commercial, institutional and industrial projects.